Explore the food pantry, fridge, freezer and store cupboards around. What will you find in your food cupboard today? Be sure to stock the items recommended for a basic pantry and you will be able to prepare a great variety of international meals at short notice. It's time to take a look to your food pantry and fill it with ingredients to get your international cooking skills started. We are here to help you enjoy your world cooking experience by sharing with you what we know about ingredients, equipment, terms, tricks, tips and techniques. Check our collection of world food articles. You will find detailed information that will help even a novice cook feel like a professional chef. And, for those that are writing, we also store food words. Food lovers make use from a vocabulary on loan when describing food. Familiarity with all those words to describe food will come handy to describe your restaurant experience, together with your appreciation of the service, decoration, and general ambiance. Explore the flavors of the world, revisit some well known traditional flavoring combinations and discover some you may have not thought of. The basic international pantry should have a selection of the basic pantry items millions of home cooks all over the world store; the ones they use every day to prepare simple, straightforward dishes, very easy to replicate at home. The Latin American pantry contains the ingredients to bring the flavors of Latin America to your kitchen. Discover what ingredients, herbs, spices and seasonings people use in Latin American countries. Stock your Indian pantry with the right spices and food staples to be able to prepare any Indian recipe in a flash. Search the Japanese pantry for the ingredients needed for this country's cooking. Thai Pantry, the Flavor of Thailand in your kitchen. Thailand, a country where a meal means rice accompanied by other dishes. Flavors of Thailand, a look at the traditional ingredients used in Thai cooking. Keep your favorite Greek ingredients stored in your cupboard. This is essential to explore and enjoy Greek cuisine. There are some items we should always have stored. Those staple foods are the heart of the pantry and will help us out of more than one tricky situation. The kind of staple food to store varies with culture and cooking style, but it is usually a collection of non-perishable items, such as cereals, dried fruit, cans, cooking oil, and spices. 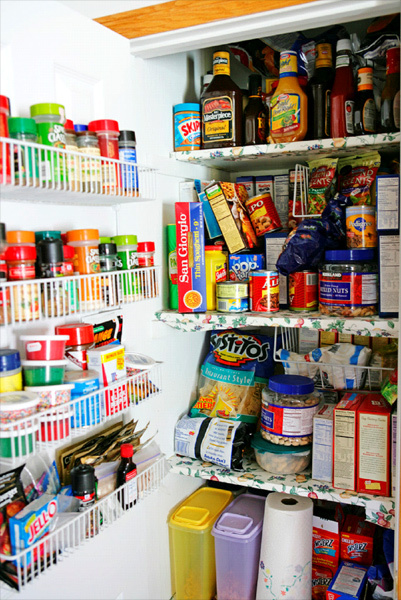 There is a great variety of foods to be found in our pantry or refrigerator. We, humans, have thrived on Earth because our diet includes virtually everything. Explore cooking, including methods, techniques, and some nutrition basis concepts that anyone responsible for planning meals should know. With quick cooking quick tips that will save you time in the kitchen, home cooks have used for ages. If you want more there are plenyt of food tips and cooking tips among our resources. Does not matter if it is healthy and we crave chocolate with good reason, or the craving is only in our imagination, chocolate is part of modern food culture. Find here a little history of chocolate. Coffee is the perfect finish many meals, apart from being a breakfast or break time drink, that is why there should be always coffee in your cupboard.